When a cooler can’t be installed in the return line due to excessive pressure pulses, the solution is to take it offline. 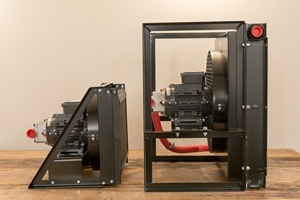 We do this using an air blast oil cooler with an integrated pump that bypasses the hydraulic system by drawing the oil directly from the tank and returning it back to the tank after cooling. 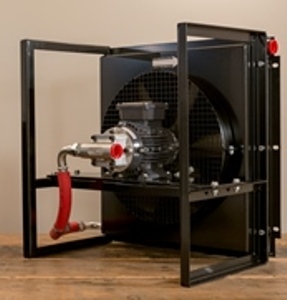 This ensures the cooler sees none of the system pressure that could result in a pressure burst or premature failure of the radiator caused by pressure surges.